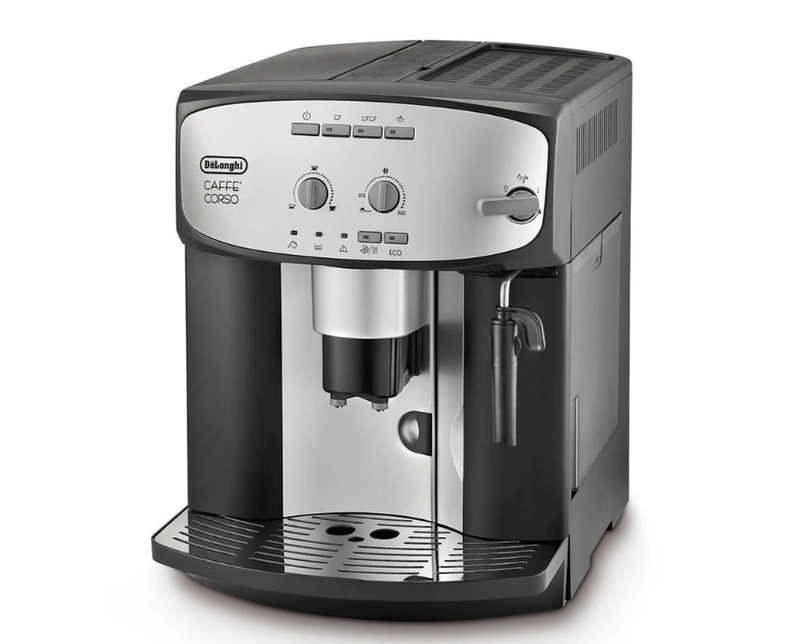 If you’re a fan of Heston Blumenthal’s avant-garde cooking and are looking for a midrange, bean to cup coffee machine that offers the chance to develop your barista skills as well as offer you a whole range of pretty awesome features and functionality, then this Sage bean to cup coffee machine could be right up your street. 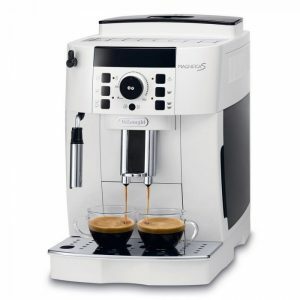 With more buttons and dials than a NASA control, for those looking for a more personalized coffee experience and an experience that makes you feel like a coffee pro, then this could be the machine for you. 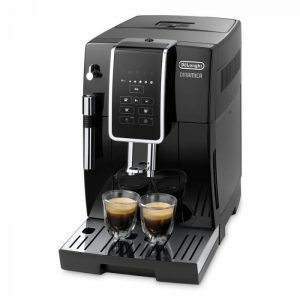 What is good about the Barista Express? 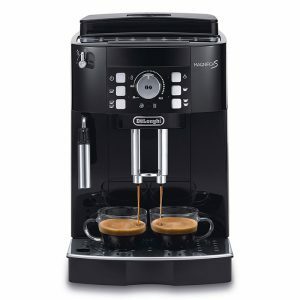 The large two-litre water tank and 250g capacity coffee bean hopper are each enough to make around ten cups of coffee before they need refilling, depending on how you prefer your coffee. 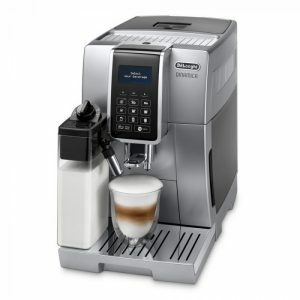 For the ultimate in strength control, the machine offers eighteen different grind settings, from coarse to very fine. Once you’ve selected your preferred grind, you can then choose whether you want one or two servings of espresso, and it automatically measures and grinds the appropriate amount of beans. And it takes less than a minute to get from bean to cup. Its six cup warming tray means that there’s no excuse for using cold cups either. However, the Sage by Heston Blumenthal isn’t a ‘press the button and forget about it’ machine. Once the coffee is ground and in the filter, it’s up to you to do the rest. The filter needs to be removed from below the grinder, the contents tamped and any excess scraped off before it’s fitted under the water dispenser. Then you press another button to complete your espresso. If you prefer longer or milky coffees, there’s yet more work to do. 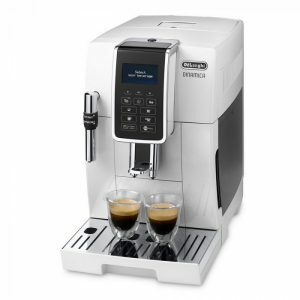 The Sage by Heston Blumenthal has a hot water tap for topping up to your preferred volume and, for lattes, cappuccinos and macchiatos, there’s a high-pressure steam wand that many consider producing barista quality milk texturing. Mastering the art of milk frothing takes practice, and when they say high pressure in this machine, they mean it. But, on the plus side, the stainless steel milk jug provided with the machine has an integral temperature gauge, so you’ll know when your milk is at the perfect temperature. 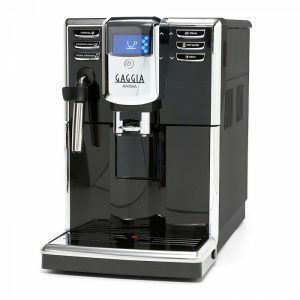 And while the Sage by Heston Blumenthal might – with your input – produce your coffee in less than a minute, the single boiler means that you’ll need to wait for the water to get hot enough to produce steam for your milk. In terms of cleaning, the Sage by Heston Blumenthal is a mixed bag, although largely it comes out positively. It comes with a ClaroSwiss water filter that removes, in theory, the need to descale. However, if you’re in a hard water area, you may still need to do so. The display will tell you if you do. Whether you need to or not, the water filter needs replacing every three months, which is simple to do. The coffee filters need replacing every couple of months, which again isn’t tricky, and is clearly explained in the manual. However, cleaning the steam wand must be done manually using the tool supplied. For all its buttons and dials, the actual functionality of the Sage by Heston Blumenthal is somewhat limited. It’s all down to the user to create their perfect coffee. 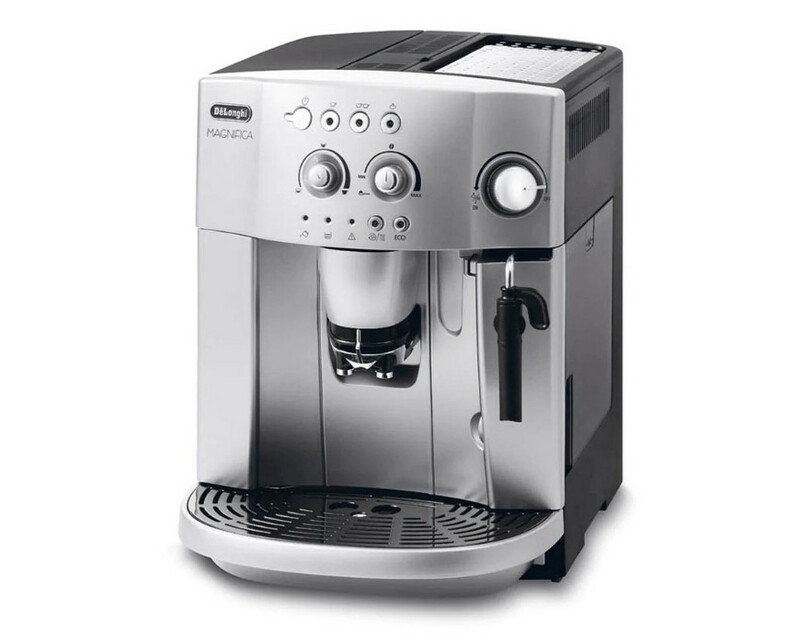 Although the machine does automatically produce what it considers to be the appropriate amount of coffee (30ml for a single espresso, 60ml for a double), as well as offering the almost ridiculous choice of eighteen different grinds, anything else is reliant on you doing the work. To change the volume or strength of your coffee, the respective buttons need to be held down until the desired outcome is achieved. 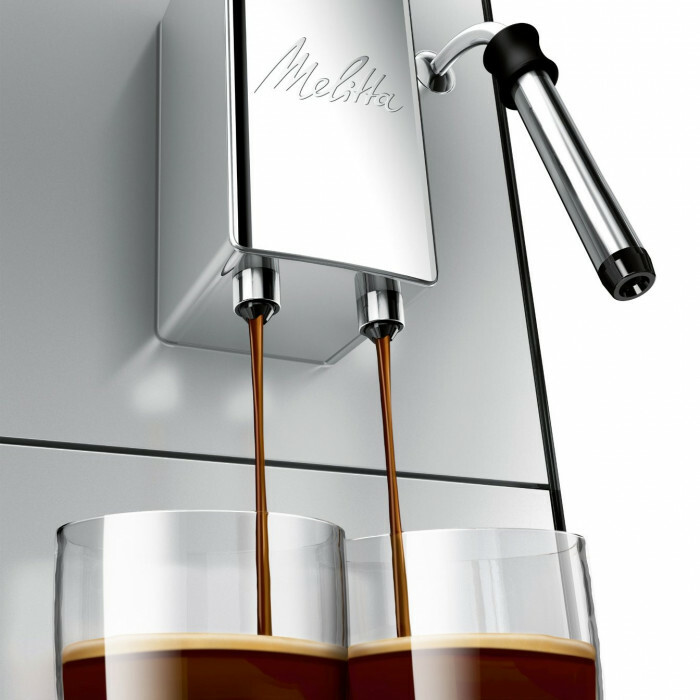 And while this allows you to personalise your coffee to your taste, you can’t store your preferences, meaning that making a coffee that consistently meets your predilections is far from guaranteed. Water pressure and temperature are two vital components in achieving coffee heaven. The Sage by Heston Blumenthal is unusual in that it uses two different pressures. 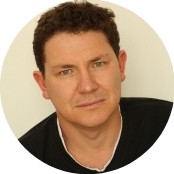 It begins with a lower pressure, indicated on the pressure gauge as the pre-infusion stage. The manufacturers claim that this gently soaks the coffee, causing it to expand, before the 15 bar water pressure extracts the flavour, creating a more balanced taste. For those making their coffee to their own taste, the pressure gauge has a handy guide that shows you when it’s ready. As for the temperature, the Sage by Heston Blumenthal uses a thermocoil system, which is an aluminium block wrapped around a stainless steel tube. This provides rapid heating that is supposed to leave a clean taste. 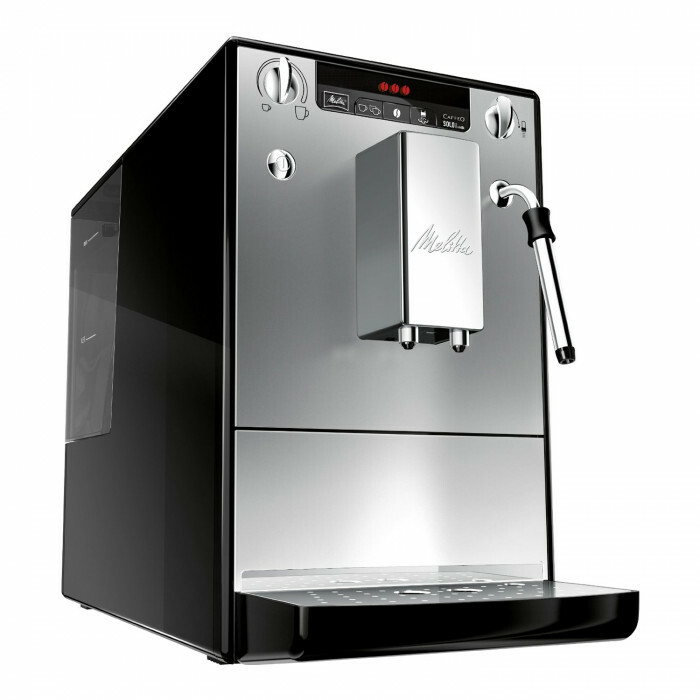 For such an expensive machine, it’s surprising that there’s no way to set the temperature to your own taste, especially as some drinkers feel that the temperature of 71 degrees Celsius is a little too hot. 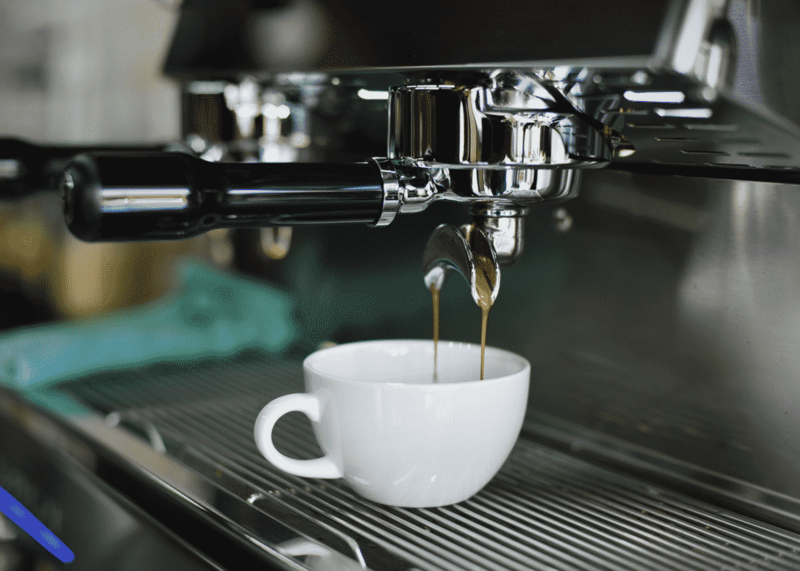 The steam wand is turned on at the side of the machine and, as it’s a single boiler system, it can take a few moments for the water to get hot enough to steam the milk. As the water then needs to cool again to make the next cup of coffee, it’s not ideal if you’ve got a crowd of coffee fanatics to satisfy. 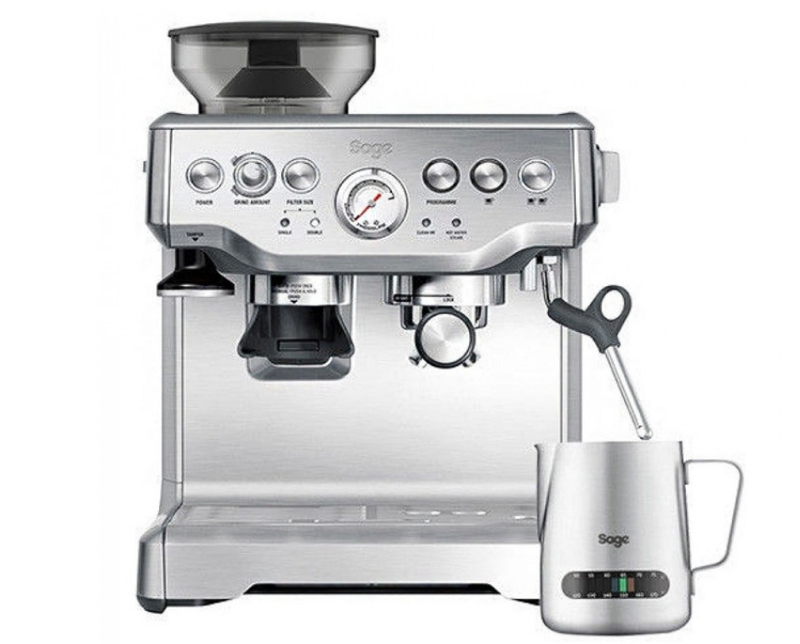 In terms of quality, the Sage by Heston Blumenthal has a high-quality burr grinder. However, surprisingly for a machine of this price, there are a significant number of reports of the grinder breaking or the burrs needing frequent replacement. The tamper is well designed, as the top of the tamper attaches magnetically to the slot in the front of the machine. For skimming off excess coffee grinds, a patented Razor dose trimming tool is included, as is a milk jug and cleaning kit. The Sage by Heston Blumenthal is available in black or silver. Some users have reported that the coating on the black version is easily scratched, or that it flakes off within a relatively short time, which may be worth considering when making your colour choice. 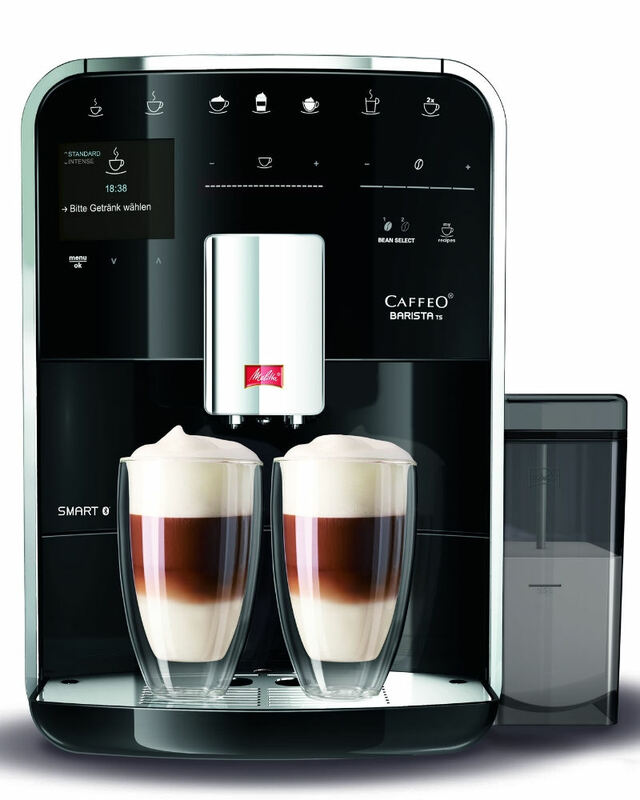 If you’re looking for a bean to cup coffee machine that produces a range of coffees with just one touch, then the Sage by Heston Blumenthal isn’t going to be the machine for you. 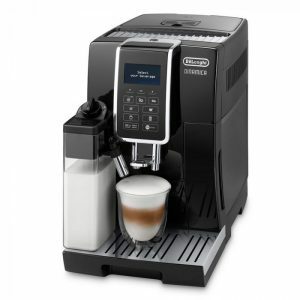 Although highly configurable, it’s very much down to the user to create their own coffee experience. 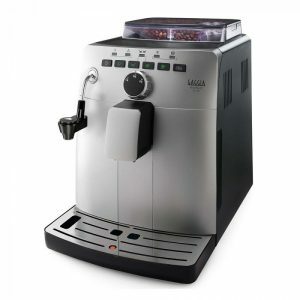 The Sage by Heston Blumenthal is a midrange machine that isn’t for those looking for a simple bean to cup coffee experience. 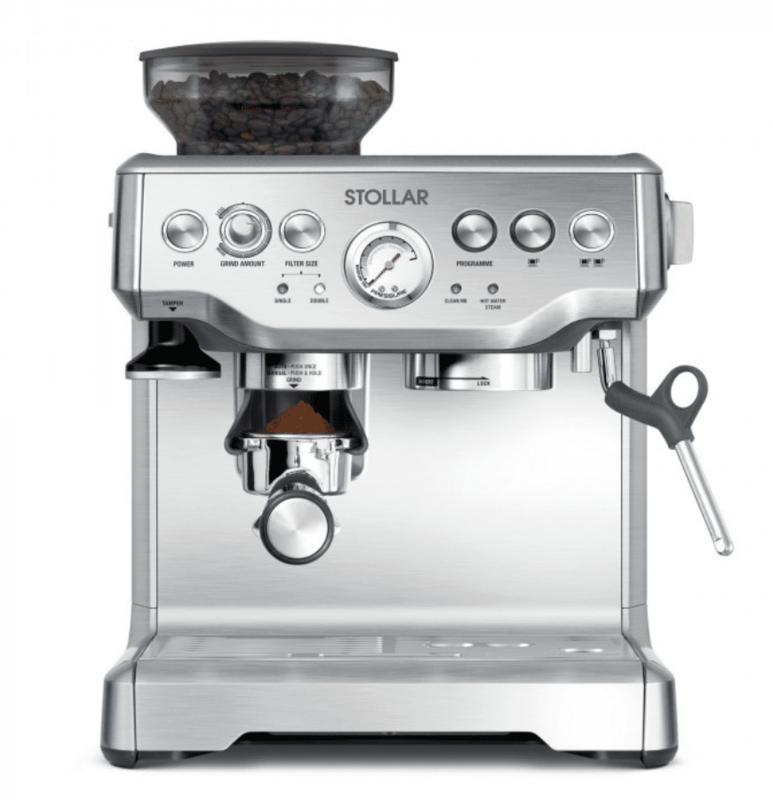 It requires considerable user input to produce anything other than an espresso, but does offer the tools to make pretty much any coffee you can think of, should you have the patience to find your way around this complex machine. 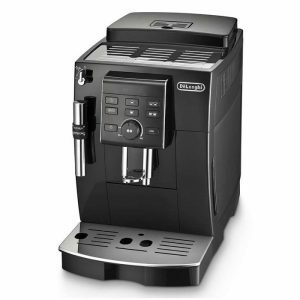 Here are some of the other bean to cup coffee machines that we sell on the site.